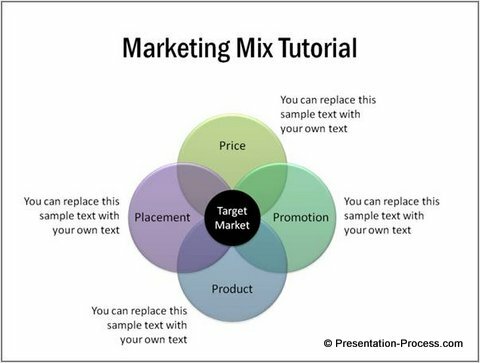 Learn to create useful Marketing Mix diagram using SmartArt tools. 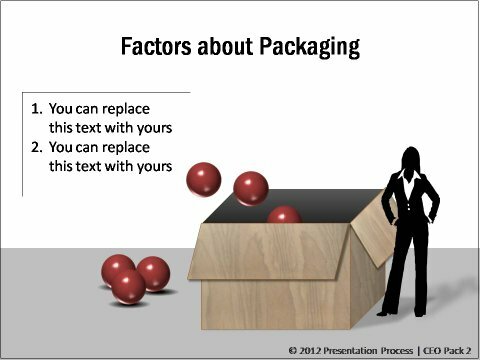 Follow our easy instructions to create this PowerPoint template for your business presentations. 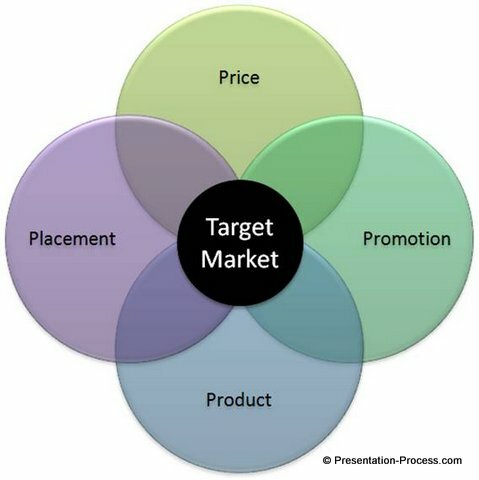 You can use the diagram to talk about the 4Ps of marketing. 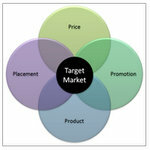 You can also use the diagram to portray interrelationship between any four factors. The diagram is created using PowerPoint SmartArt. Let us learn the steps right away. 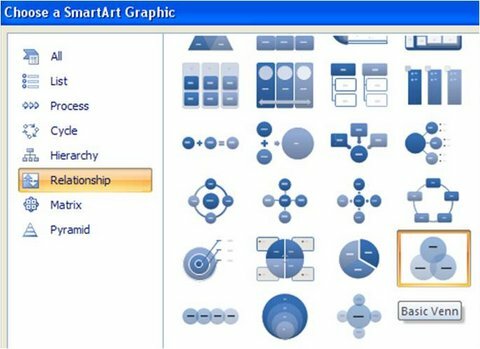 Go to ‘Insert’ -> SmartArt -> Relationship -> Basic Venn diagram. Click on the small arrow on the bounding box and go to text pane. 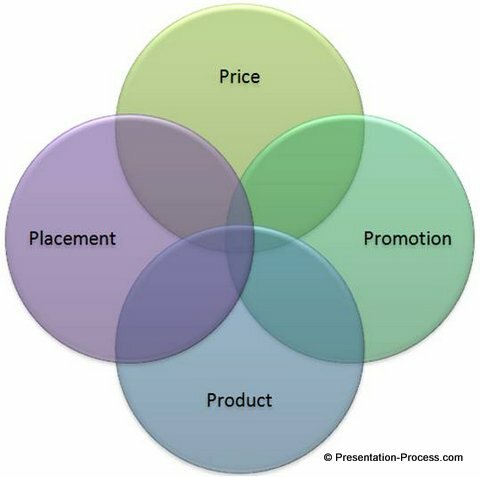 Enter the 4Ps of Marketing – Price, Promotion, Product and Placement against each of the bullet points and press ‘Enter’. 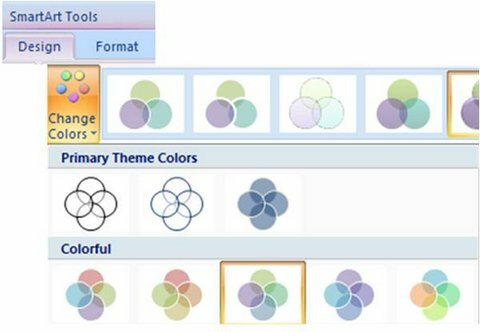 While the default graphic has three circles, you will see the fourth circle created to accommodate the 4th P.
Click on the graphic and go to ‘Design’ tab in PowerPoint ribbon. Choose the color scheme you want to apply. You can also choose to increase the font size of the text to suit your needs. 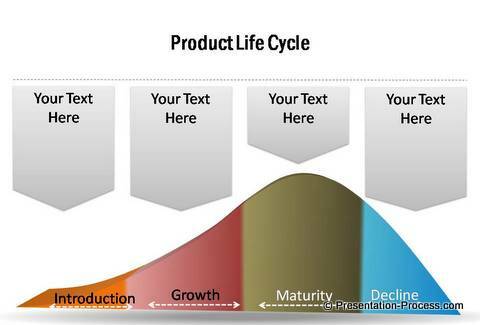 When you add relevant text and title to the diagram your Marketing PowerPoint Templates’ ready. You can follow the same technique to portray 5Ps, 6Ps or 7Ps of marketing (depending on the theory you believe in). 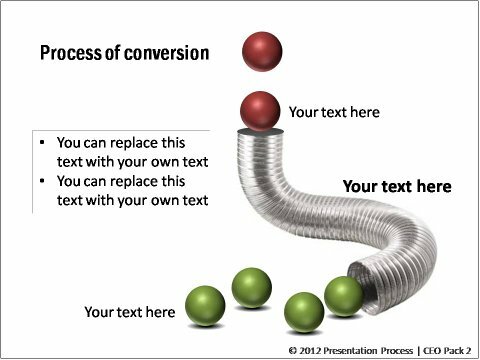 If you don’t have the time to create such graphics from scratch and yet want your slides to look professional, we have an elegant solution for you. We recommend you take a look at our ‘2 Pack Bundle: PowerPoint Charts and Diagrams for CEOs’. The two CEO packs have more than 1600 premium charts, graphs, diagrams and graphics to visualize every business idea imaginable. Just choose the template that matches your thought and replace the sample text with your own text. Your business slides get ready in no time. Why waste time creating your graphics and diagrams from scratch, when you have such useful solutions available off the shelf? Please browse through our diagrams collection and see how the CEO packs can change the way you create your business presentations forever. 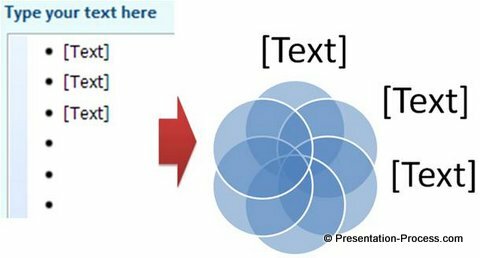 If you liked this article, you can find 200+ advanced tutorials for PowerPoint in this site. Please leave a comment below.